The Phoenix Company, parent company of Phoenix International, has announced a new partnership with JMC Capital Partners of Boston, Massachusetts. George Wordingham, president and fourth-generation owner of Phoenix has announced his retirement and confirmed the sale of his share of the company to JMC. “I’m happy to be putting Phoenix in a position for long-term growth while also preserving the importance of its history in the industries we’ve served for decades. The trust our customers have in us is something money can’t buy, so it’s important to everyone to keep this story going,” Wordingham said. Phoenix has been a part of the welding industry since the 1950s when it introduced the first DryRod® electrode oven to the market. JMC will be investing in various growth opportunities for Phoenix and also looking to grow its presence. “JMC presents great opportunities for our future in this industry,” stated Scott Fredrick, CEO of Phoenix. “As a 126-year-old manufacturer, we know the value of adaptability and perseverance. JMC’s strategy is a perfect fit for Phoenix and its plan for long-term growth.” Phoenix International will continue to operate out of its Milwaukee location. 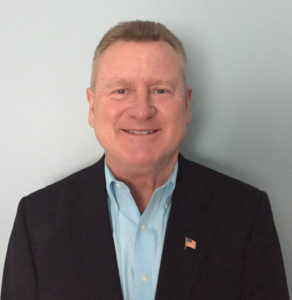 Gas Innovations, Inc., has announced the appointment of Mike Alexander as director-executive sales. Alexander will work directly with the organization’s largest distributors, gas majors and key accounts to develop strategic opportunities to grow their business while also assisting in the cylinder refrigerant business market. Alexander most recently worked at a global diversified metals manufacturing company excelling in numerous commercial roles. 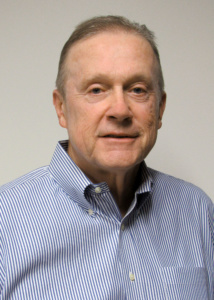 Serving in roles of increasing responsibility for 41 years, he left the organization as a strategic account manager overseeing longstanding, legacy accounts. Brian A. Maloney, husband, father and dear friend to all, passed away on September 15, 2018. Brian passed away peacefully at Massachusetts General Hospital in Boston, MA with his loving wife, Lisa, by his side holding his hand. He was 82 years old. Brian grew up in New Jersey where he attended and graduated from St. Benedict’s Preparatory School in Newark, NJ and graduated with a Bachelor of Science degree from Lafayette College in Easton, PA. Upon graduation, Brian proudly served six years in the United States Navy. He served aboard the aircraft carrier, USS Intrepid, and retired from the U.S. Navy as a Lieutenant. Over the past several years he visited the USS Intrepid in New York City with his family and recounted many stories of his life on this famous aircraft carrier. He especially enjoyed sharing these memories with his grandchildren. Brian discovered his love of travel while serving in the U.S. Navy. 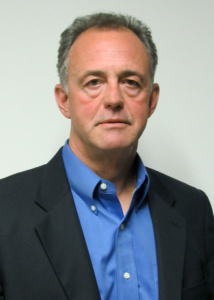 Brian was founder, President and CFO of Compressed Gas Industries (CGI) in Pine Brook, NJ. Upon retiring, Brian resided in Hilton Head Island, SC during the winter months and Marblehead, MA in the summer months. Brian had a zest for life and had many hobbies that he fully enjoyed. He was an avid equestrian and competed for many years in Three Day Events, winning countless awards. He was Chairman for three years at the Essex Horse Trails in Gladstone, New Jersey. During his life he enjoyed playing golf, hiking, skiing and was a longtime sailor. He was a member of Corinthian Yacht Club in Marblehead, MA for 25 years. He loved to cruise on his sailboat, Catherine Grace, with his wife Lisa, and they participated in many Corinthian Yacht Club cruises to Maine and Cape Cod. He also loved to fly fish and was a competitive sporting clay shooter. Brian belonged to the Metropolitan Club in New York City, Long Cove Club where he resided in Hilton Head, Forest City Gun Club in Savannah, GA and Minute Man Sportsman’s Club in Billerica, MA. In addition, he loved to travel with Lisa and spent his retirement years traveling the world. One of their greatest accomplishments was successfully climbing Mount Kilimanjaro in Africa. Brian is survived by his loving wife of 31 years, Lisa Anne Maloney and his five children by his first wife, Caroline Maloney (deceased): Catherine Maloney Harding and her husband, Daniel Harding of Amesbury, MA; Maureen Maloney Toye of Hackettstown, NJ; Maggie Maloney of Newburyport, MA; Brian Maloney, Jr. of Concord, MA; and Caroline Maloney of Newburyport, MA. ; and daughter-in-law, Maia Heymann. Brian was blessed with many grandchildren: Kiersten Toye; Noel Toye and husband, Jay Diaz; Jack Maloney; James Maloney; Grace Krupkowski; Courtney Krupkowski; Madison Desimio-Maloney; and Matthew Desimio-Maloney. And a great grandchild, Diana Berenice Diaz. Brian was preceded in death by his parents, Andrew P. Maloney and Catherine Grayce Maloney, his sister Catherine Hearn, and brother Andrew Maloney. In lieu of flowers, donations can be sent to Massachusetts General Hospital (Massachusetts General Hospital, Development Office, 125 Nashua Street, Suite 540, Boston, MA 02114) or St. Jude Children’s Research Hospital at www.stjude.org. To share a memory of Brian or to offer a condolence to his family, please visit www.dignitymemorial.com. Todd Andrew Parke, age 59, passed away on Saturday September 15th, 2018 in Waxahachie Texas. He was tragically struck and killed by a motorist while walking his beloved dog, Rosco, near his home. Todd was born on May 26th, 1959 to Norman and Judy Parke in Toledo Ohio. He graduated Start High School in 1977, Hocking College and the University of Pittsburgh. Todd married his high school sweetheart and lifelong companion, Julie. Together they had two daughters, Jenifer and Megan. Family was very important to him. Todd recently became the proud grandfather to a baby girl, Sophia, in November 2017. Todd was employed in the Industrial Gas Industry. He started working for Valley National Gases in West Virginia during the early 1980’s and ended his career at TechAir of Texas. He and his wife Julie had moved to Texas from Valparaiso Indiana last year. Warm and sociable, Todd made many friends along the way. He was passionate about living and kept busy with his many interests. He enjoyed antiques and collectibles and he and his wife Julie were longtime collectors of Hall China. They frequented annual conventions together, where he enjoyed seeing friends from around the country. He also enjoyed gardening, landscaping, and making improvements to the homes he lived in throughout his life. Todd enjoyed sports and he remained active to the end. Since childhood, Todd remained a dedicated fan of the Green bay Packers and played in a fantasy football league for over a decade. He also loved to play golf and had many golf buddies over the years. He was part of a league while living in Venetia, Pennsylvania, and he continued to make new friends to play golf with in Waxahachie. He was very proud to run alongside his youngest daughter in her races and was training for an upcoming run in November. Todd was a proud American who embraced the founding principles on which this country was formed and enjoyed touring historical sites wherever he went. He was tremendously knowledgeable about the roots of Western Civilization and American history and read prolifically, often reading two or more books at once. This knowledge strengthened his respect for those who sacrificed to preserve American laws and identity. Todd will be dearly missed by the many people who knew him. He touched the lives of many with his bright smile and easygoing nature. He was a friend to many people, and he loved animals as well, having always had companion cats and dogs in his life. Todd will be lovingly remembered by his wife, Julie Parke, daughters Jenifer Rune (Christopher Rune) and Megan Parke (Kyle Carson), granddaughter Sophia Anastasia Rune, half-brother Shawn Parke (Teresa Parke), several cousins and many friends who were like family. He was preceded in death by his parents Norman and Judith Parke. In lieu of flowers the family ask that donations be made to the Ellis County SPCA, 2570 FM 878 Waxahachie, TX 75165. To share a memory of Todd or to offer a condolence to his family, please visit www.waynebozefuneralhome.com. On Monday, September 17, 2018, Gary E. “Wacko” Mack of McKees Rocks, PA passed away at the age of 65 after a long battle. Beloved husband of Diana; loving father of Cathy (John) Jones, Sarah Mack (Andrew Zirpoli); Pappy of Marisa Jones and Sal Zirpoli; son of the late Edward and Ann; brother of the late Judy Mack; also survived by aunt Babe; cousins, nieces, nephews and many friends. In lieu of flowers, contributions can be made to the Leukemia Lymphoma Society. 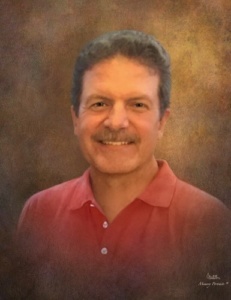 To share a memory of Gary or to offer a condolence to his family, please visit www.szalfuneralhome.com.